The gender pay gap in procurement and supply management has INCREASED, according to US and UK survey results released this week. Have you sponsored your own internal gender salary gap analysis? Ever considered how procurement salaries measure up with the rest of the working world? Are you suspicious that your procurement colleagues might be getting a better deal than you? If you’re a woman working within procurement and supply chain, have you ever wondered how glaring the pay gap is within your industry or organisation? 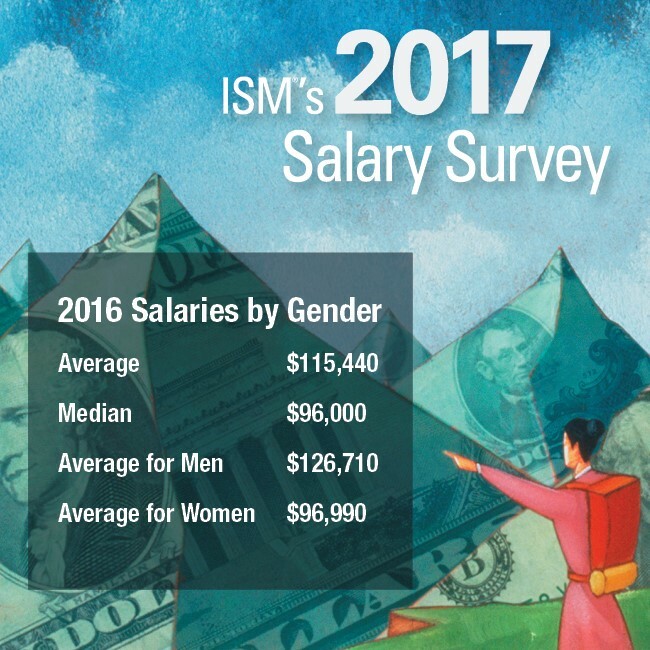 This week, ISM’s Twelfth Annual Salary Survey in the US and the CIPS/Hays Salary Survey in the UK have shed some light on all of the above. Whilst there’s clearly still a very long way to go in terms of the gender pay gap (predicted to take another 170 years to close), things are otherwise looking pretty comfortable for the procurement and supply chain profession…. In the US, a person working in professional, management or related occupations earns an average of $63,076 annually, which means these results are pretty good news for the supply management profession. The figures show a 5 per cent increase in average compensation since 2015. Men’s salaries have risen by 8.2 per cent and women’s by 3 per cent. The super bad news is that procurement appears to be taking a step backwards with regards to equal pay. In 2015 women earned 24 per cent less than men, compared with 31 per cent this year. 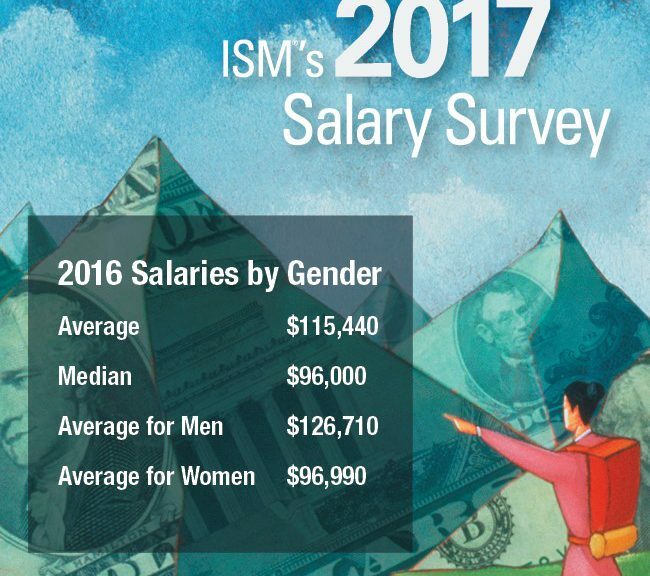 It’s not just ISM’s figures proving to be disappointing in terms of gender equality. As of last month, UK organisations employing more than 250 people are obliged to publish their gender pay gap figures. Virgin Money disclosed that men who work at the bank earn, on average, 36 per cent more than women, asset manager, Schroders, reported a 31 per cent gap and Utility SSE a 24 per cent gap. Some are against the new legislation arguing that the numbers don’t give a full picture and place all the blame in the hands of the employers. Others are in favour of the full disclosure and think it will spur organisations and governments to crack down harder on gender inequality. McKinsey’s Global Institute report found that $12 trillion could be added to the Global GDP by 2025 by advancing women’s equality, which is as good a reason as any to close the gap, pronto! The CIPS/Hays Salary Guide and Insights 2017 has surveyed over 4,000 procurement employers and employees to learn everything from key trends in salaries to challenges faced by employers and the top benefits desired by procurement professionals at all levels of seniority. Unpredictably, the cause for concern falls once again in the region of gender disparity. Overall, the pay gap is reducing but at the advanced professional level, men receive an average of £82,000, compared with a woman’s £65,700. Registrations are open for the CIPS/Hays Procurement Salary Guide and Insights 2017 Webinar, which takes place on Thursday, 11 May 2017 13:00 GMT. Are you surprised by the figures released in these two surveys? How do you think the UK’s new legalisation will impact the fight for equal pay? Let us know in the comments below. In other news this week…. Google has now shut down the attack but have asked customers who received such an email to flag it to them.